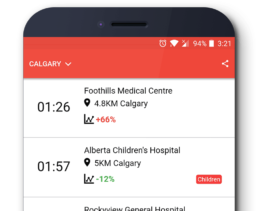 The Doctr app gives you access to the occupancy rate of 120 emergency rooms in Quebec in real time. It also lists the walk-in clinics that you can go to as an alternative to the emergency room. The Doctr app is available on iOS (iPhone and iPad), Android and the web.